What does it mean to be a Bulldog? Students may now use C-Level Smart Classroom technology for student organization meetings and presentations. Pickler Memorial Library 103, a C-Level Smart Classroom with student computer stations, is now available for use by students in the evenings, thanks to IT Services and the Library. Students using the room must complete a scheduled, one-hour orientation to learn how to use the technology in the room. Visit http://classroomcapture.truman.edu/request to request training. Once training has been completed, reservations for the Smart Classroom can be made via the Reference Desk. Available reservation hours are Monday through Thursday from 5-10 p.m. and Sundays from 1-10 p.m. The state of Missouri is providing Truman and 25 other public institutions with $40 million to increase enrollment in health care programs. The “Caring for Missourians” program initiated by Gov. Jay Nixon provided Truman with $756,000 to be utilized over a three-year period. The initiative is set to increase the number of students accepted and completing health care related programs. Truman’s focus will be on the nursing and communication disorders departments. Janet Gooch, professor and department chair of communication disorders, said the department’s long-term goals for the funds include implementing new marketing strategies to attract students from other undergraduate institutions and establishing a relationship with these institutions so the referral process will increase. She said the benefit to the state of Missouri should not be overlooked. Gooch said the marketing efforts would also aid in attracting more students internally to the graduate program. Gooch said the curriculum and the number of faculty would basically stay the same with a few minor adjustments to provide the students with easier access to the clinic when acquiring their 375 clinical hours. Stephanie Powelson, chair of the nursing department, said her goal mirrors the communication disorders’ objective of increasing the number of students enrolled in the program. The nursing department also is looking to continue to update its technology and renovations in a nursing lab. To accommodate additional students the department has been able to hire an additional part-time faculty member. Powelson said most state nursing programs receive more applications than they have available seats in the department. Last year the Truman nursing department received 150 applicants and admitted 62 students to the program. Her goal is to use the “Caring for Missourians” funds to increase the number of seats available in the program. Both the communication disorders and nursing departments are exploring grants to receive additional money to fund their initiatives and keep their efforts supported. The Career Center is working to improve its mentor database, BulldogNet, which is housed on the eRecruiting/Experience job-posting network. By logging onto an eRecruiting account, students and alumni can contact mentors for advice on careers, internships and graduate study. Mentoring is an essential component to the career decision-making process and Truman has many alumni and friends who want to help. A discussion focusing on ways to better coordinate campus service projects between the Truman and Kirksville communities will take place at 12 p.m. Dec. 11 in the Student Union Building Georgian Room A. The Social Stratification Class (SOAN 310) and the Center for Teaching and Learning will sponsor the discussion between campus and community leaders. The event will include a brief panel presentation on current initiatives from the Community Needs Assessment, the SERVE Center and the Service-Learning Coordinator followed by a roundtable discussion between students and community leaders. Please RSVP to bcloyd@truman.edu or 785.7753. The Center for Teaching and Learning (CTL) provides faculty and students the opportunity to present their research at various conferences throughout the year. During the Fall 2009 semester, the CTL sponsored a dozen faculty and student trips to three different conferences. Nelson, Reinart and Weicken also traveled to the International Research Conference on Service-Learning and Civic Engagement in Ottawa, Canada, Oct. 9-12 to present “The Secret Ingredient for Critical Thinking and Community Engagement.” Truman students were the first undergraduates ever to present at the IRCSL. The Center for Teaching and Learning partially supported their trip with a grant from Missouri Campus Compact. The CTL annually provides fellowships to several faculty members to assist them with their Scholarship of Teaching and Learning (SOTL). This is systematic inquiry about course or program level student learning conceived and undertaken by faculty in such a way that the findings may be reviewed, critiqued, replicated and extended by peers. This year, the CTL sponsored five faculty members and one student to present their work at the International Society for the Scholarship of Teaching and Learning Conference at Indiana University Oct. 22-24. John (Zhong) Ma, assistant professor of biology, presented the poster “Promoting and Assessing Biology Student Learning through Laboratory Exercises,” based on work done by Zhong Ma, Cynthia Cooper, Hyun-Joo Kim and Diane Janick-Buckner. Sally Cook, associate professor of linguistics, had her study “The Plagiarism Learning Curve for International Students,” accepted but was unable to attend the conference. The CTL wishes to thank staff member Barb Bevell for supporting these scholarly efforts through poster consulting and design. The CTL also annually provides Civic Engagement fellowships to several faculty to assist them in focusing on revising existing experiences for Truman students so that students’ civic engagement is enhanced. This can be through infusing service-learning, but can also include infusing other methodologies such as community oral history, public policy/legislative communication or other forms of publicly engaged scholarship. These fellowships are made possible due to external grants from Missouri Campus Compact. Carnahan served on the Commerce Committee, the Governmental Affairs Committee, the Special Committee on Aging and the Small Business Committee. She was also the fifth woman to ever serve on the Armed Services Committee. 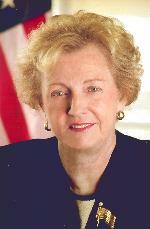 Following the events of Sept. 11, 2001 she was a member of the first Congressional delegation to Afghanistan and conferred with heads of state in Turkey, Uzbekistan, Tajikistan, Pakistan and Oman. The Institute of International Education has announced the inauguration of the Freeman Indonesia Nonprofit Internship Program (FINIP), funded by the Freeman Foundation. The internship aims to develop student leaders and strengthen the nonprofit sector in Indonesia. IIE will select and pair 10 Indonesian students pursuing U.S. degrees with 10 U.S. undergraduates and arrange internships for them to work together in an Indonesian nonprofit organization. The internship lasts from June 15- Aug. 17, 2010, and will take place in three cities: Jakarta, Bandung and Yogyakarta. Interested American and Indonesian sophomores and juniors enrolled in U.S. institutions are encouraged to apply, using the online application at http://www.iie.org/programs/finip. The deadline for submission of completed applications is Feb. 15, 2010. Contact finip@iie.org or visit http://www.iie.org/programs/finip for more information. See the man who inspired the Will Smith movie “Hitch.” He is the number one college speaker in the nation and gives relationship advice through comedy. Tickets are free for students with a Truman ID and $2 for General Admission and can be picked up in the SAB Office. Looking for the perfect gift for a graduating senior? Why not give them the opportunity to network with other Truman alumni and the chance to establish a life-long connection with their alma mater? An Alumni Chapter membership is a great way for new graduates to develop important connections, and Alumni Chapter membership is HALF-PRICE for recent graduates. 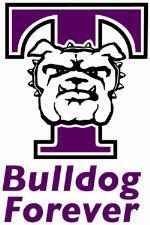 Truman has 10 regional Alumni Chapters in Arizona, Chicago, Colorado, Dallas, Iowa, Kansas City, Mid-Atlantic (Washington, D.C. area), Mid-Missouri, Northeast Missouri and St. Louis. Membership is only $10 for an individual (regularly $20) and $15 for a joint membership (regularly $30). Additional benefits of membership include free admission to most home athletic events, discounts at Truman bookstores, nationwide hotel and rental car discounts, Kirksville hotel discounts, the Alumni Connections newsletter and more! For more information contact Stacy Tucker-Potter, coordinator of Alumni Relations at stuckerpotter@truman.edu or 785.4167. Show your spirit this holiday season. Small and medium sizes are still available for $5 and can be picked up in McClain Hall 101. All proceeds support Kirksville's Victim Support Services. Come see Santa and have your picture taken with him and his elves! Shop for novelty holiday items including homemade crafts, jewelry, bags and much more! 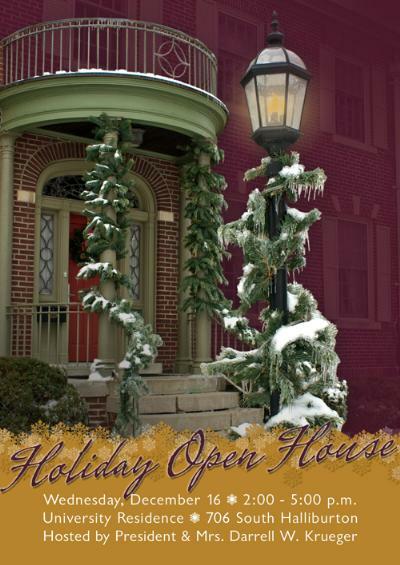 For more information, contact Allison at 314.323.4938 or ryleholidaymarket@gmail.com. Financial Aid has added the option to participate in a service-learning project in order for students to complete scholarship service hours. Service-learning projects will allow students to interact with the Kirksville community while having the freedom to design and implement projects with off-campus organizations. The objective of these projects is to give students an option to apply what they have learned in the classroom toward a real-world experience. These positions are now available on the Tru-Positions website. Tru-Positions can be found online at https://trupositions.truman.edu. Any questions or feedback can be directed to Tom Stuart at tstuart@truman.edu. The Student Health Center will again be offering free H1N1 vaccinations from 3-4:30 p.m. Dec. 7, 8, 9, 11 AT THE STUDENT HEALTH CENTER. No appointment is necessary. Please bring your Truman ID, and remember, this clinic is for current Truman students, faculty & staff ONLY. Both the nasal and injectable vaccines are available. Health officials warn that several peaks of H1N1 infection will occur, all the way up to Spring 2010. For every food item donated by Dec. 11 the library will waive up to $1 in overdue fines. Bring your items to the circulation desk and help support the Central Missouri Food Bank. Faculty, staff and students are encouraged to participate. For questions call 785.4533. The Office of Citizenship and Community Standards would like to know how Truman’s community values have been important in each student’s University experience. Submit reflections of 500 words or less at http://conduct.truman.edu. One lucky entry will win a $100 gift card to the bookstore. Elise Bailey, a senior accounting major from Wildwood, Mo., was named the October Student of the Month by the Missouri Society of CPA’s LEAP program. The MSCPA is the premier professional development organization dedicated to certified public accountants in the state of Missouri. It represents nearly 10,000 CPA members in public practice, industry, government and education. Sana Camara, associate professor of French, had his article, “Aimé Césaire et Léopold Sédar Senghor face à l’historicité nègre,” published in “Ethiopiques, Revue Négro-africaine de Littérature et de Philosophie.” The article appeared in the Fall 2009 special issue honoring late Martinican mayor and poet-laureate, Aimé Césaire. In May 2009, Camara was invited by the Department of Comparative Literature at the University of California, Berkeley, to participate in one of their graduate student’s Qualifying Exams. Tom Capuano, professor of foreign language, had his article “Early Catalan Agricultural Writing and the Libre o regla o ensanyament de plantar o senbrar vinyes e arbres...” published online by the Universitat de Barcelona’s Biblioteca Digital de Sciència.cat. It can be viewed at http://www.sciencia.cat/biblioteca/documents/Palladi754_Capuano.pdf. This publication was made possible in part by a 2008 summer faculty research grant from the Office of the Provost. Arnold Preussner, professor of English, attended the 5th bi-annual Blackfriars Conference in Staunton, Va., Oct. 21-25, where he presented the paper, “Crowd Control in Act Five of Jonson’s The Alchemist.” Alanna Preussner, professor of English, also attended the conference and assisted in the presentation. Steven D. Reschly, professor and chair of history, along with M. Lynn Rose, professor of history, visited the University of Rostock, Germany, Nov. 23-28, as invited guests. In an ongoing effort to forge a Truman-Rostock partnership and exchange program of professors and students, they met with students, professors, administrators and administrative assistants, and attended classes. They were also guests, along with representatives of other Rostock partners in the U.S. and U.K., at the “Gender Generation Ageing” Interdisciplinary Colloquium at the Max Planck Institute for Demographic Research in Rostock. Rose presented “Gender, Ageing, and Physical Disability: The Case of Cheryl Marie Wade,” during the colloquium, organized by the interdisciplinary Gender Research Working Group. The Women’s Resource Center will sell beaded jewelry from 9 a.m.-4:30 p.m Dec. 7-11 in the Student Union Building. The jewelry is made from recycled colored paper by women in Uganda. Proceeds benefit “Bead for Life,” an effort that works to eradicate extreme poverty by creating understanding between impoverished Africans and concerned world citizens. Sigma Kappa will sponsor “Twisting for Alzheimer’s,” a tournament of the game Twister, beginning at 8 p.m. Dec. 9 in the Student Union Building Alumni Room. Entrance fee is $6 for a two-person team. The Jazz Combo will perform a concert at 7 p.m. Dec. 9 in Baldwin Hall Auditorium. Minor Detail will host its annual holiday concert beginning at 7 p.m. Dec. 11 in the Student Union Building Down Under. Franklin Street Singers will perform their winter concert at 8 p.m. Dec. 11 in Baldwin Hall Auditorium. True Men will perform in concert at 9 p.m. Dec. 11 in Baldwin Hall Auditorium. The Quincy Symphony Chorus will present "A Christmas Gloria" at 7:30 p.m. Dec. 12 at Salem Evangelical United Church of Christ on the corner of 9th and State streets in Quincy, Ill. Free admission for Truman students, faculty and staff who present a Truman ID at the door. The University Orchestra will perform at 8 p.m. Dec. 12 in Ophelia Parrish Performance Hall. The Cantoria fall concert will take place beginning at 3 p.m. Dec. 13 in Ophelia Parrish Performance Hall. The Annual Finals Scream will take place from 9 p.m.-12 a.m. Dec. 13 in the Student Union Building and Student Recreation Center. Activities include: volleyball, badminton, table tennis, basketball, scooter races and FREE massages in the Rec Center. Enjoy a movie in The Hub, arts and crafts, and late-night yoga (9:30-10:30 p.m.-bring a towel or mat) in the Student Union Building. FREE pancakes will be available in Mainstreet from 9 p.m.-12 a.m.